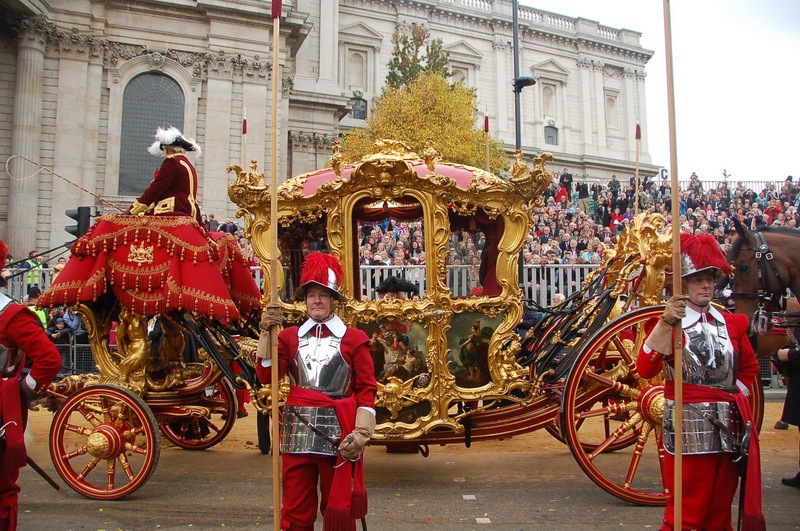 The Lord Mayor’s Show has marched (and floated and trotted, and occasionally fought) through the past 799 years, surviving the black death and the blitz to arrive in the 21st century as what must be the oldest, grandest and best-loved pageant in the world. The 2014 Show is on Saturday November 8th. It starts early with the river pageant then the magnificent Lord Mayor’s procession sets off from Mansion House at 11am. 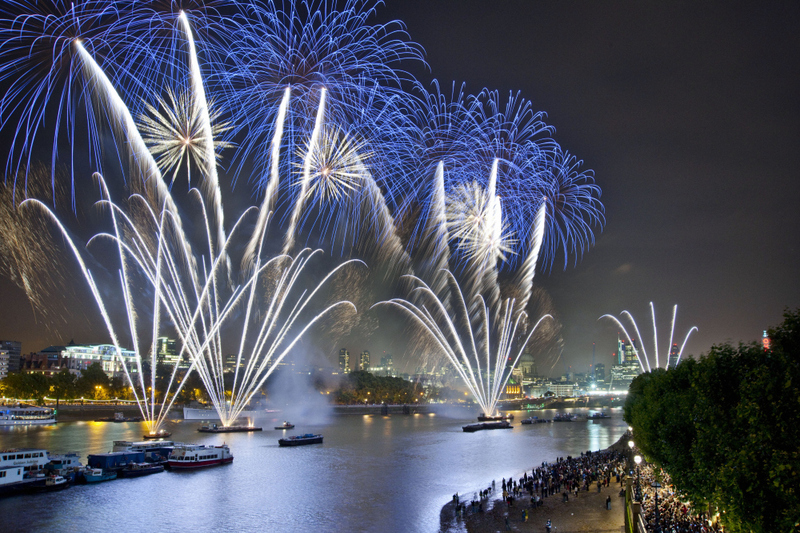 The day finishes with a bang in a fireworks display on the river at 5.15 between Waterloo and Blackfriars bridges. Nobody liked King John. His barons schemed against him, his people cheered invaders and his allies were very few. London even then was an independent sort of city: rich, mercantile and with its own powers and customs. John wanted it on his side and in 1215 by Royal Charter he gave London the right to elect a Mayor. He tried to win London’s support by allowing it to choose its own Mayor, but he insisted that immediately after election the Mayor must leave the safety of the City of London, travel upriver to distant Westminster and swear loyalty to the Crown. The Lord Mayor has made that journey every year for eight centuries, despite plagues and fires and countless wars, and pledged his (or more recently her) loyalty to 34 kings and queens of England. 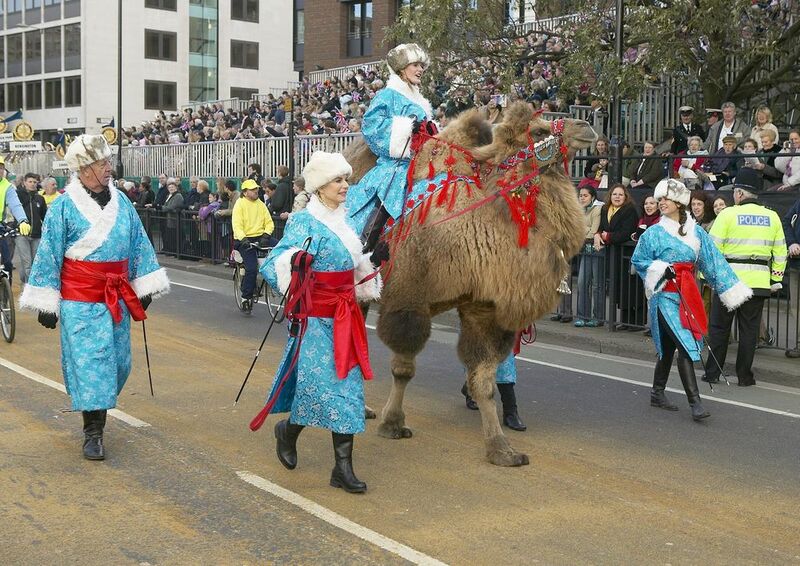 The original Lord Mayor’s journey was always taken by river. The modern Lord Mayor celebrates that history by travelling to the City in a splendid flotilla of traditional Thames barges and small boats, including the famous QRB Gloriana. Tower Bridge opens in salute at 09.25 and the new Lord Mayor alights at HMS President ten minutes later. This is a procession unlike any other in the world: over 7000 participants, 20 bands, 150 horses, hundreds of other carriages, carts, coaches and other vehicles including vintage cars, steam buses, tanks, tractors, ambulances, fire engines, unicycles, steamrollers, giant robots, helicopters, ships, penny farthings, beds and bathtubs. The procession sets off from Mansion House at 11am. It pauses at the Royal Courts while the Lord Mayor gives his oath and then returns up the Victoria Embankment at about 1pm. The Lord Mayor will get back to Mansion House just after 2. 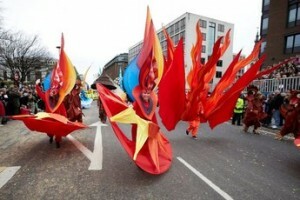 In the lull between procession and fireworks you will find the remarkable City of London Guide Lecturers giving walking tours around the strange old streets of the City of London. The walks are easy and free, but they hope you will make a donation to the Lord Mayor’s Appeal. 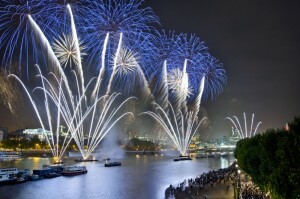 The new Lord Mayor completes his first day in office with a magnificent fireworks display over the Thames. The launch-pad floats in the river between Blackfriars and Waterloo and all the roads in that area are still closed, so you can walk freely around either bank of the river and find a good spot to enjoy the end of the Show. If you are coming to London to see the show and need somewhere to stay or perhaps to have dinner afterwards, Function Fixers can help with best possible rates at hotels and restaurants.